City celebrates the achievements Ada Lovelace, the world's first computer programmer. 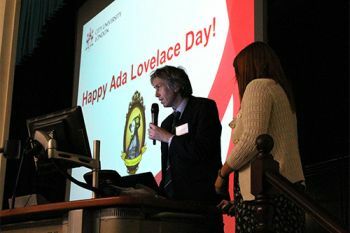 City University London fittingly celebrated Ada Lovelace Day last Tuesday evening in the Great Hall. 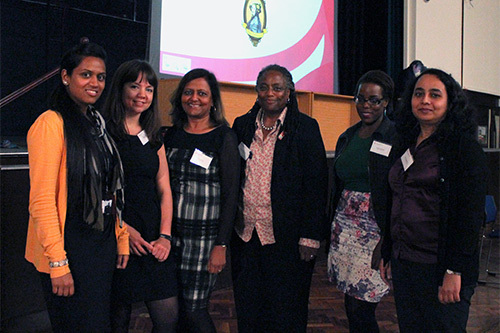 The 15th October event was attended by close to 50 people including pupils from the Hammersmith Academy, City academics and students and a wide range of visitors. Ada Lovelace, born Ada Gordon in 1815, was the world's first computer programmer. Born Ada Gordon, to Lord Byron and his wife Annabella Millbanke, she was fascinated with machines from an early age. Between 1842 and 1843, she translated an article by Luigi Menabrea on Charles Babbage's general-purpose computer, the Analytical Engine. Lovelace supplemented her translation with notes containing what is considered to be the first ever computer program - an algorithm encoded for processing by a machine. The highlight of last Tuesday's celebration was a panel discussion entitled "The only woman in the room: 1800s computer programmer to today's tech women. Chaired by Connie St Louis, the director of City's Science Journalism MA programme, the panel comprised: Dr Arti Agrawal (Lecturer in Photonics in the School of Engineering & Mathematical Sciences); Louisa Kiwana (Research Executive at Engineering UK); Prim Smith (Change & Implementation Manager at Camden Borough Council); Vikki Read (Software Developer at Unruly Media) and Jaz Rabadia (City alumna and Energy Manager at Debenhams). Dr Agrawal spoke of her research in Finite Element Modelling for photonics and her awareness of Ada Lovelace while at secondary school. Drawing attention to her work in making engineering more accessible to women and minorities, Louisa Kiwana said "science and engineering should be understood in a wider perspective". 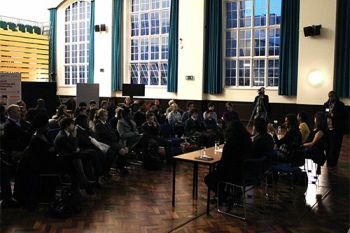 Speaking about the contribution of technology in bettering the lives of people within communities, Prim Smith mentioned that despite moving away from the "technical side" of her training in computer science, she was still able to draw on those studies through her management role. Vikki Read emphasised the need for more people to learn to code and Jaz Rabadia addressed some of the multifaceted challenges of managing Debenhams' energy needs. Professor of Communications Systems and Cryptography, Professor David Stupples, spoke of his appreciation for the work of Ada Lovelace. He also enlightened the audience on the important contribution made by Mavis Batey and Grace Hopper, respectively, as a code breaker at Bletchley Park during the Second World War and as the inventor of COBOL,one of the oldest programming languages. 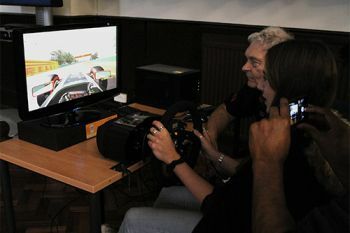 City's Ada Lovelace celebration also featured an inspiring video about coding and programming; a practical demonstration of coding in M-Script from Professor Roger Crouch (Dean of the School of Engineering & Mathematical Sciences and the School of Informatics); and, an interactive activity fair which included a 3D printer demonstration, Enigma machine, F1 racing simulator and mini campus tour.